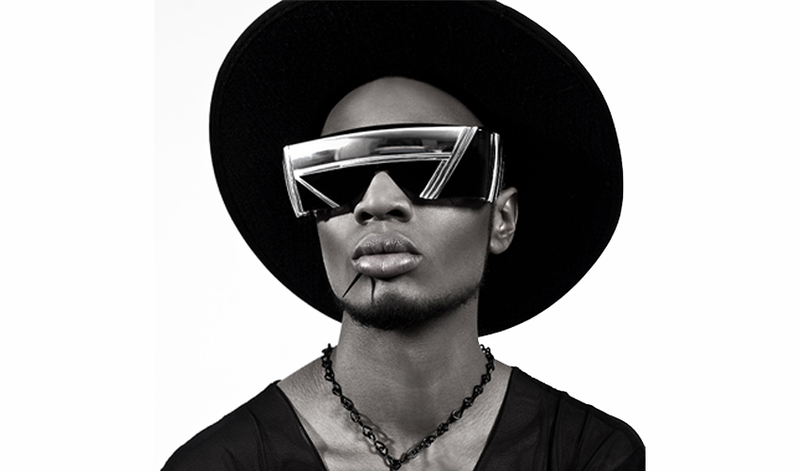 His eyewear is being worn by Beyonce, Lil Kim, Nicki Minaj, Lola Monroe, Tyra Banks, Zombie Boy and Fergie. He is already known in New York and beyond. Born in Georgia but raised overseas. Grew up with parents who were in the Army and traveled a lot during his childhood. Started designing in 2007 and quit his job with the military to start his business selling eyewear. Currently has his shades on the cover of Vogue Italia November issue shot by Steven Meisel plus an additional six-page-spread entitled ” The A Train”. 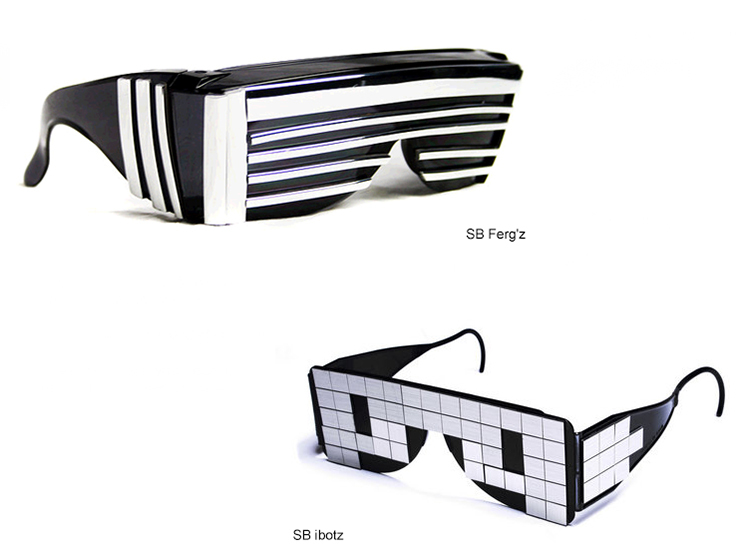 And the answer is “yes”, today the special guest of ‘The Fashiongton Post’ is the celebrity eyewear designer Stevie Boi! The Fashiongton Post: Stevie, the first question that we all curious about is why have you decided to choose the nickname “Stevie Boi” instead of your real name which we believe is Steven Strawder? Stevie Boi: Once I started to find out who I was as an artist. People in my circle started referring to me as Stevie Boi. My grandma also calls me Stee Bo. I love ‘Stevie Boi’ because it’s youthful and fun to say. F.P. : Why exactly the eyewear? What were the key points that led to this? S.B. : I loved watching Paris Hilton on TV in early 2005- 2007, she had the best fashions and best eyewear. 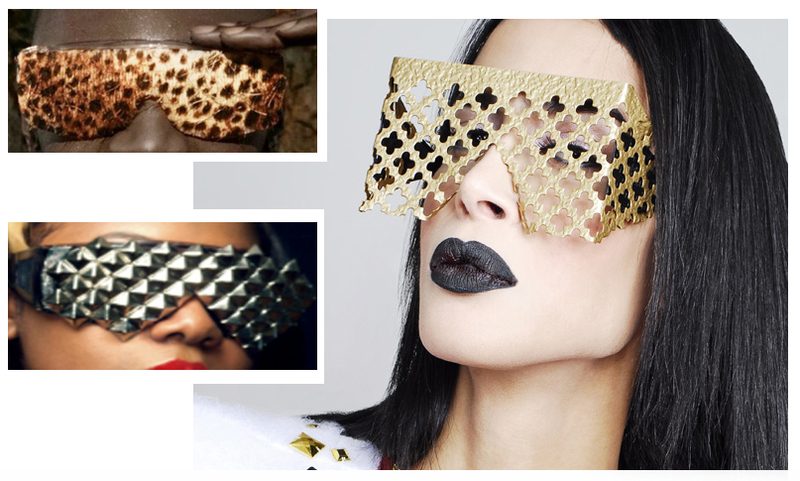 Her eyewear was so inspiring and actually pushed me further into accessories. F.P. : Do you prefer sketching designs of glasses or you actually construct them and the ideas come to your mind during the process? S.B. : I design in free styling, I never sketch any of my designs, I feel it restrains the designer and can make it complicated. F.P. 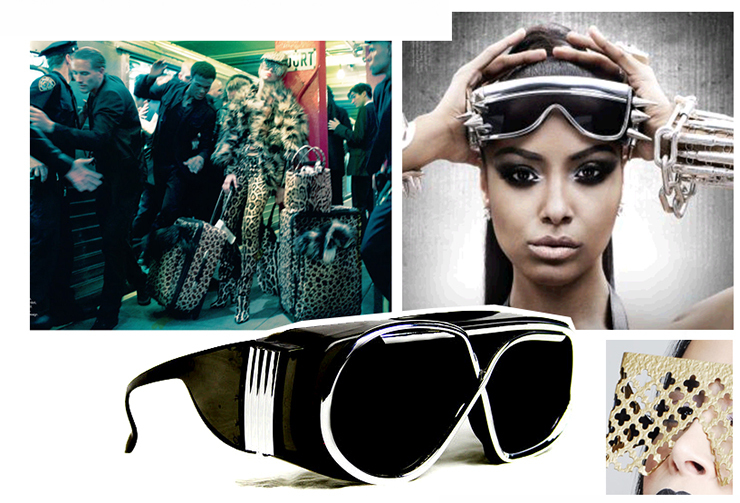 : What do you like best about designing eyewear? S.B. : The freedom to do what I want. F.P. : And on the contrary, what do you dislike about designing eyewear? S.B. : I sometimes wish I had a bigger canvas to design on. But mostly the best comes out of working with limited materials and limited space. F.P. : Where do you get your inspiration? S.B. : My environment. I get inspired by Grace Jones, Leigh Bowery and Andy Warhol as well. I love dark creepy things, they take me to a place I only understand. F.P. : What are some of your favorite fashion websites, blogs, magazines or books? Which ones do you read on a daily basis? Have you ever had an idea to write a book yourself? S.B. : I don’t really visit fashion sites or read magazines. I would love to write a book one day. But currently I feel it’s too early for a book, so I would wait another 10 years. F.P. : What is your reaction to the fact that many young designers start to copy your eyewear and create something similar, attempting to grab a piece of cake from this business? S.B. : At first it was annoying but now I know spiritually there’s an Ora over those who copy. You can’t succeed by being someone or something your are not. I choose to move on and not acknowledge the negativity. F.P. : What was your most embarrassing moment during your fashion career? S.B. 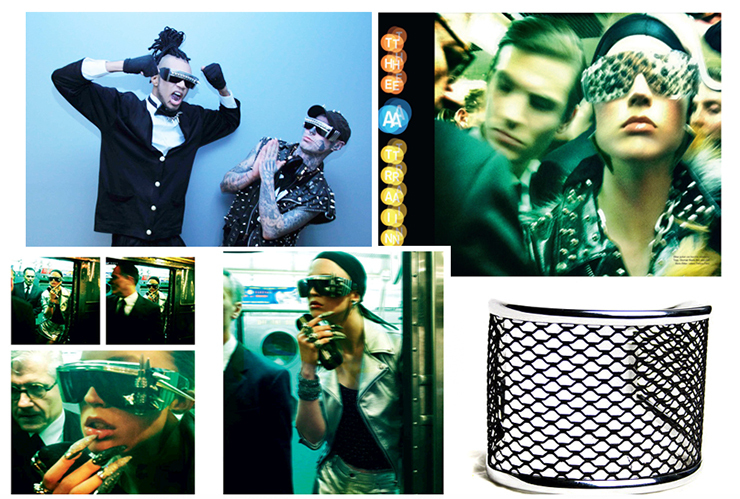 : Well, my first fashion week I attended a big fashion party. It was my first epitome being around the elite. And I wasn’t dressed well. Though a lot of people complimented me I knew I wasn’t the best dressed. But two years later I went to the same party and got a fashion award, so I guess it payed off. F.P. : What model of the glasses was the most exciting to create? S.B. : The ‘SB Shines’. They were my first pair. F.P. : Who is your dream client? F.P. : Do you still design and create all the glasses by yourself or they are being manufactured now? How many people work in your team? Or it’s just you who does the complete work? S.B. : Yes, and now we are in the stages of manufacturing, I have about five people in my team and it’s growing. I have a very strong team. Went through a lot to get the team I have now. F.P. : What’s your favorite old, can-never-throw-away piece of clothing that you wear? S.B. : Black sweaters and skinny jeans. F.P. : As we know you recently visited St. Petersburg in Russia. In your opinion, what’s the difference between fashion culture in Russia and in the States? What was the most productive part of your visit to Russia? S.B. : It’s very cultural. I honestly love St. Petersburg so much that I would like to live there! I feel the fashion is cultural and very unique. I see it being on the same pages of NYC street wear. F.P. : What are some of your fashion goals? S.B. : For myself to cover Vogue Magazine and to have a chance to work with Grace Jones. F.P. : What was the strangest or the funniest interview you ever had? And who was the interviewer? S.B. : Hmm. Oh! Ok, so, I had an interview on the radio and apparently the host didn’t know about me and neither did her co-host. It was very disrespectful so I just went hung up. F.P. : Stevie, what advice do you have for young aspiring fashion designers and the readers of ‘The Fashiongton Post’? S.B. : Two things. Save your money and be original. The best thing you can do in this industry is to make yourself proud before trying to please others.